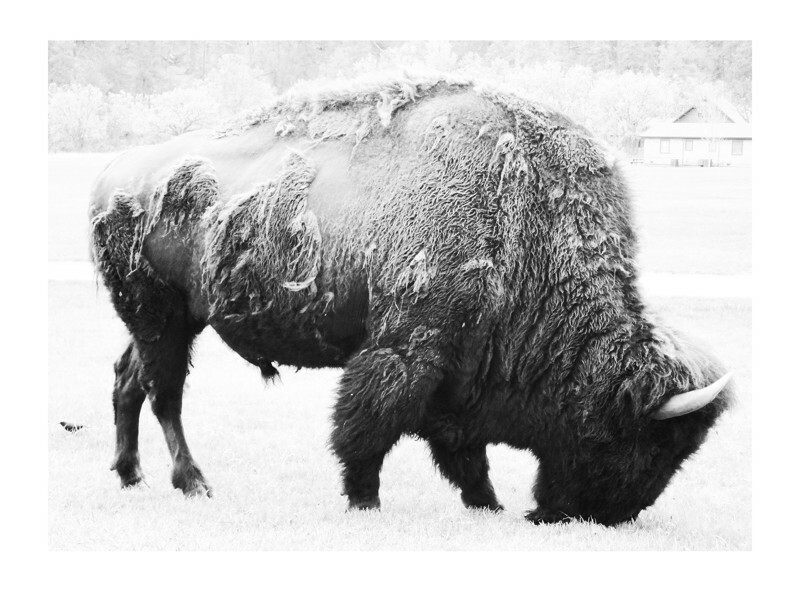 While visiting Custer State Park one spring, I became fascinated by the ruggedness and beauty of the buffalo roaming the lush green landscape. I was fortunate enough to see several buffalo up close and really sense the sacredness of these remarkable animals. I love this photo (which I took while parked just five feet away from one particular beast) because it perfectly captures the texture of hair and hide, worn from the severe South Dakota weather. It reminds us that buffaloes are our link to the not-so-distant past.